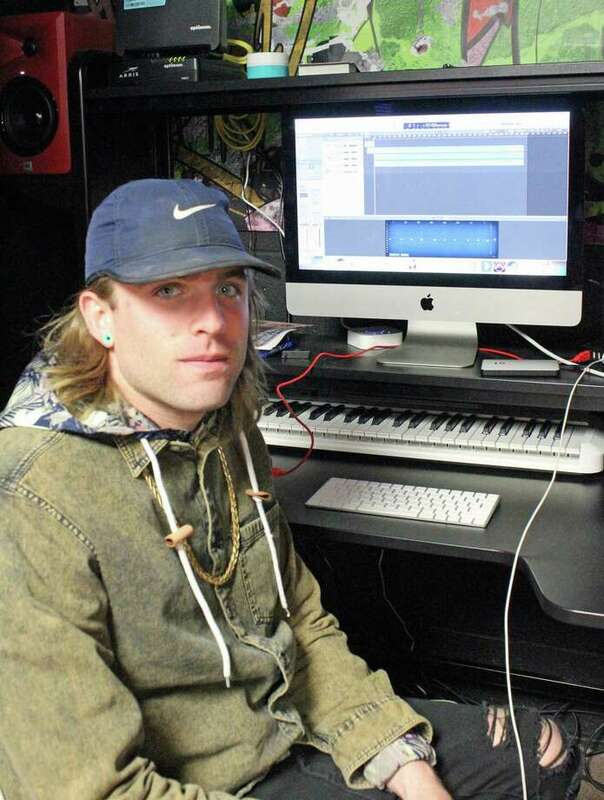 Steve Ruskay, above, a graduate of Trumbull High School and St. John's University, has opened a recording studio in Fairfield called “The Booth.” Below, a look inside the studio. FAIRFIELD — He majored in sports management, but Steve Ruskay decided to do some traveling after college, so when he graduated from St. John’s University, he picked up and moved to Hawaii. For two and a half years the Trumbull High School alum worked on his music there, before relocating to Los Angeles. Ruskay didn’t stay there long — only about eight months — before driving back across the country to Connecticut. Ruskay said when he was in Hawaii and California finding studio time that was affordable was a challenge. He said he’s always had a knack for music engineering, so when he found himself back in Connecticut he got a loan, found a spot, and opened a recording studio — The Booth. After all, he said, he hadn’t found a job in the sports field, and he wasn’t sure what he wanted to do. The Booth has been open since the beginning of the year. Located on High Court, a small side street tucked off Kings Highway, The Booth is not large. It includes a small recording booth, while. Ruskay’s computer and recording equipment fit in an area about the size of a closet. There’s a small waiting area. Services offered by the business are affordable, Ruskay said. “It’s about $45 an hour for pretty much everything,” Ruskay said. “I like being affordable because I’ve been in that position, trying to find a place you can afford.” So far, for the most part, Ruskay said he’s been doing recordings for hip hop and R&B musicians. “A couple of people have come by to record their instruments,” he said, people who in the past would have just propped up their iPhone to make a recording. Ruskay also expects that he’ll get business from high school students applying to college who plan on majoring in music. Of course, it’s not just aspiring artists who make use of The Booth. Ruskay’s Instagram account boasts pictures of him with Chron “Hell Razah” Smith, who booked a session there. Smith is best known as a member of Sunz of Man, an early affiliate group of the Wu-Tang Clan. A.J. Gallo manages area musician Nick Vig, and has used The Booth. “He did a nice job,” Gallo said, of Ruskay. “He’s built a nice environment there, a vibrant place, and a nice place for making music. For now, most of the recording time is booked for evenings and weekends. Until recently, Ruskay was working for Optimum. “Ideally, down the road I can get to a place where I can focus all my energy on this,” Ruskay said.